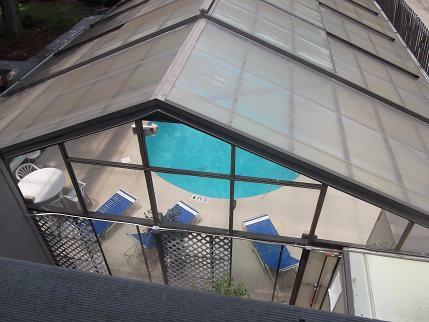 "This unit is in a great location- a short walk to the beach, and short drive to a lot of fun attractions." "It was like my home away from. Home "
"I will tell it like it is. The place is amazing and the location is the best there is. But when it comes to ammenitys this place lacks. No towles, sheets, toilet paper, paper towels, dishwashing machine pods, and no tissues. The cleaning service they have is the worst. Dust on the blinds. Used tissues in a tissue box not thrown away. Used paper towels stuffed behind the tv. Dishes were covered in food and were dirty to the point we washed things twice before we used any of it. The tubs had a thick coating of dirt around the rim that would be the line it fills with water for a bath. If they showed me evidence of a better cleaning crew and told you exactly what they supplied you, I would come back to this place. But sadly it's the cleaning crew and cleanliness that brought the star rating down." "Everything was clean! Rental office was helpful and professional! Plenty of towels, wash clothes, and sheets! Will be back! So so close to the beach!" "My family and myself had a wonderful stay in Myrtle Beach at Shipwatch Pointe 2. The condo was very clean and well maintained, it was in very close proximity to the beach. All of the pools on the property were very clean with lots of chairs. The condo was well stocked with dishes and all necessary cookware. We had a great time." "Great place! Beach in walking distance. Great neighbors!" "Everything wentbwell . Good holiday. Condo,ascgreat , area was nice and qduiet." "It was a nice get away for a last minute plan. Had a great time and a nice place to go chill and lay down for the nights. " "7 days at the beach"
"My children and I had an amazing stay. The unit was everything described and more. I will admit I was leary after a bad experience with another rental company, but fortunately those fears were put at bay with the exceptional service and the condo we stayed in. I will definitely plan future trips through Myrtle Beach Vacation Rentals. " "Clean, well equipped, great location. " "Ship watch point 2 is fine. The hike upstairs, which we were expecting, is fine. The condo was fine. The grills were a fine, a nice touch though. The pool was fine. The parking was fine." "Great place. Nice staff. Good location. " "Staff at mgmt company was very efficient. Suprised to find roach belly up in front of the sliding door. The unit was clean overall. Appreciate the updated kitchen and carpet in only one room. I have a lot of allergies and dries flower arrangements are not good for me--these dust catchers need to be eliminated. We love the beach and the area. The grounds of ShipWatch Pointe is very beautiful. Will stay there again." 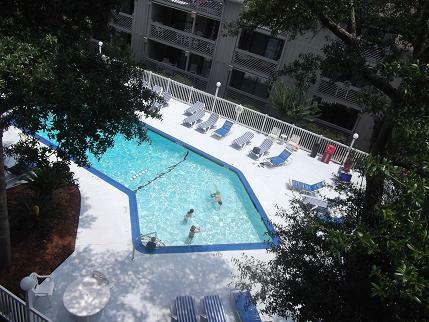 "I have stayed multiple times at these properties and they are always very is also a plus to have access to nice clean pools and hot tub outside your back door.There are very nice sheltered gas grills that really make it feel like home.Myrtle Beach Vaction Rentals is always very helpful."